Ken Bruen is better known for his Jack Taylor books and I have not read any of them yet(again on my to read list). I picked up the first three of this series up in a Black Friday Sale for my Nook. 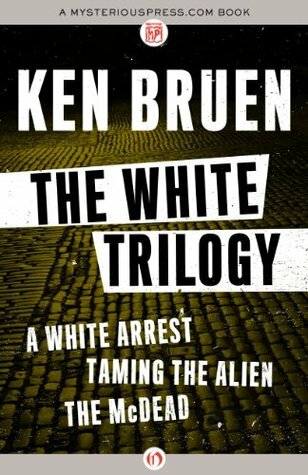 The first three books are packaged together and called the White Trilogy. 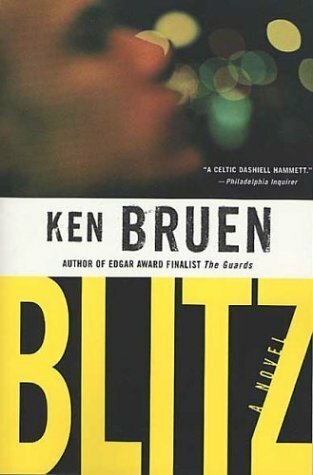 The fourth book, Blitz was also made into a movie. The movie follows the book fairly well except for the ending, which I think made a better movie. The movie has Jason Statham as Brant and he does a great job, it is an entertaining movie worth checking out whether you read the books or not. The book series has not been read much according to goodreads with Blitz having the most reads at a mere 427, but the series has strong reviews and high ratings. Ken Bruen has quickly become one of my favorite noir authors and I look forward to reading The Guards soon! I agree with you about “Blitz” the movie. Stratham did a good job and was a good fit for Brant. Nice when they get it right. If you saw Tom Cruise as Lee Child’s Reacher you might have wondered whether the producers bothered to read the book at all. I have not read any of the Reacher books yet, but I do have a few friends that have and are big fans. They have said the same thing, Tom Cruise is physically the exact opposite of Jack Reacher. The only problem with Jason Statham as Inspector Brant is he is kind of overweight in the books and we all know Jason is one of the fittest looking gentlemen in the world. In the movie he doesn’t show his physic and dresses kind of frumpy, other then that, he is just as the books describe, so I was happy with the casting and can’t think of anyone that would be better, off the top of my head. Thanks for the comment and hope you find the rest of my blog entertaining. I haven’t seen Blitz in a few years, but I remember liking it. 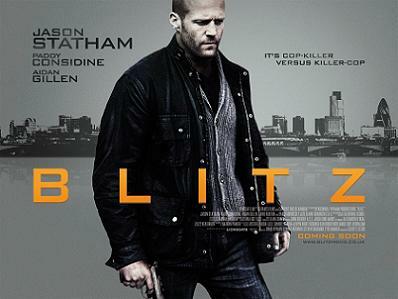 It’s very different from the typical Statham films and I thought the change of pace suited him well enough. I have not read any other Bruen books yet, but loved these and look forward to reading more soon!